So you know what veggies merit real estate in your garden. Now you just need to get some seeds and you're all set! 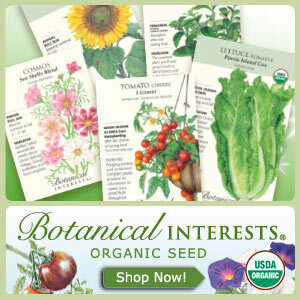 You check out some seed catalogs and as you browse, you're blown away by the endless selection of colors and varieties. It is rather exciting to read about vegetables that you would never have otherwise encountered! With so much variety, navigating your way through half a dozen seed catalogs can be tricky enough. But soon you will encounter concepts that might be new to you. Open-Pollinated? Heirloom? Hybrid? GMO??? What's good? What's bad? Does it even matter? 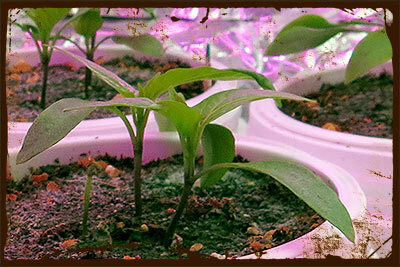 Let's discuss these basics so you can get back to focusing on which type of purple pepper you'll choose to grow! OPEN-POLLINATED: Although human beings can help the process along, open pollinated plants are not heavily controlled. Instead, the plant flowers are pollinated by natural processes such as bees, gravity and the wind. Since the pollination occurs freely, it's possible for pollen from other fields or varieties to be introduced. This means more genetic variation is possible and thus, greater bio-diversity. Such randomness can result in new or improved traits. This mechanism can help plants to adapt and survive despite changing environmental factors. Of course, some traits may also be less desirable as well. This is all part of the process. At the same time, many plants are self-pollinating which means they are less likely to cross with other strains. Thus they breed true and are pretty predictable from one generation to the next. This predictability is what has allowed for the development of Heirloom varieties. HEIRLOOMS: You may have come across different seeds that are marketed as "Heirlooms". This merely refers to an open-pollinated variety that has endured for several decades. Perhaps 50 years or more have passed, and yet this timeless variety is being cultivated. Tomatoes in particular have many popular heirloom offerings. Brandywine anyone? Heirlooms are sometimes revered as a part of agricultural heritage. HYBRIDS: Hybrid seeds have received opposition from many seed saving preservationists. They may tell you that the hybrid industry has led to a loss of diversity among many open-pollinated varieties. Thus the onus is placed on you as a consumer to support small heirloom breeders rather than fuelling the hybrid industry. Let's step back for a moment and look at what a hybrid seed actually is. First and foremost, hybrids are NOT the same as GMOs. (You can read more about GMOs here). Hybrids still rely on good old pollination -NO artificial gene splicing. However, hybridization in the seed industry, uses a carefully controlled method of pollination. Humans oversee the process leaving nothing to chance. The goal? To breed two different species or varieties of plants in order to achieve a cross or hybrid which manifests traits of each parent. The resulting hybrid offspring has access to a broader range of genetic information which can result in increased vigor, disease resistance or many other desirable traits. When you see a seed packet that says "hybrid", then it was produced through this method of selective breeding. It may say F1. The first generation of hybridized offspring is called an F1. Breeding F1 plants would result in a subsequent generation called F2. It's really not that big a deal. And it's definitely NOT genetic engineering. THE MAJOR DRAWBACK OF HYBRIDS? Well, the F1 hybrid that you sow into your garden will grow predictably, displaying the traits that you were promised when you bought it. But, if you save the seeds from the F1 to use the next year, you have no idea what you'll get. The F2 generation might be just like the F1 OR it may be a throwback, resembling one of the original parent plants. It's hard to say really. There is too much genetic diversity stored within its genome. So for reasons of reliability, people usually do not save seeds from hybrid plants. Instead they just buy more for the next growing season. Does this sound like a gimmick to you? It's like you're on this treadmill, forever forced to buy hybrid seeds, bleeding out money every Spring... LOL. Yeah that 2 or 3 dollar packet just might kill you. A MORAL DILEMMA? Ok, but seriously, should buying hybrids be considered a no-no? Is it our duty as conscientious gardeners to buy heirlooms from small seed companies? We may want to support these guys who are working hard to preserve a precious heritage. They are butting heads with Monsanto and trying to keep GMOs off of our tables. To be honest, that all sounds pretty good to me. But there is a tiny layer of hypocrisy that I just can't dismiss. 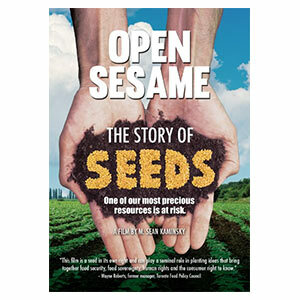 Some people regard open-pollinated seeds as the more ethical choice. Why? Is it because open-pollinated seeds can be saved, year after year? 'Finally! I can save my own seeds & break free from the seed buying treadmill! -Oh wait... If I do that then I'm no longer buying seeds from one of these Ma & Pa seed companies. ...So I'm no longer supporting them.' :/ You see the dilemma? That's why I just focus on the varieties I want to buy. Hybrid? Heirloom? As long as it is NON-GMO, then I'm happy. If I'm going to start saving seeds, then I pay attention to the hybrids and I don't save those ones. I'm fine with buying at least some of my seeds every year. After all, I always try to grow something new! My main focus is on buying from a seed supplier who has taken the NON-GMO pledge.